Johnny Douglas Whitaker, age 59, of Cincinnati, OH., passed away on Friday, April 6, 2018 in the comfort of his home. Born February 9, 1959 in Somerset, KY to the late Jesse Leamon Whitaker and Mary Bell “Tiny” Barrett Whitaker. John retired from Formica Corporation in Cincinnati, OH. He was best known as a MOPAR man with countless hours under the hood of muscle cars, rat rods and big trucks, and on most warm Saturday nights he could be found in Somerset at the car shows. He loved to ride in the Pulaski County hills in and around Lick Creek and the Rock Castle River bottom. He was an expert hunter of morels and arrowheads and was determined to pass on his love of all things outdoors to his children and grandchildren. 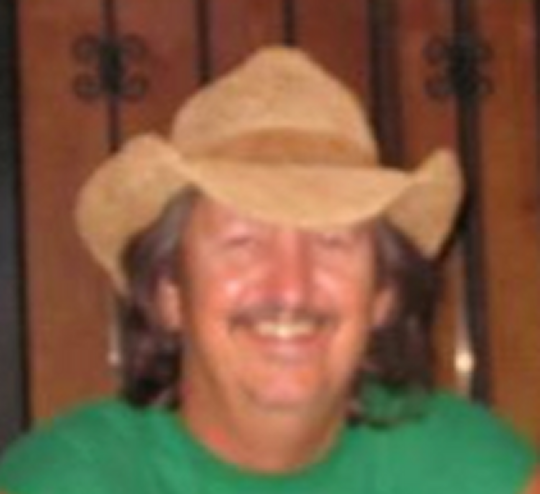 He is survived by his wife, Deborah Kay Blevins Whitaker to whom he was married for 38.5 years ; one daughter, Jenilee (and Michael) Schierloh; one son, Trevor Whitaker; two brothers, Leamon “Dale” (and Donna) Whitaker, Gary (and Karen) Whitaker; four grandchildren, Wyatt Whitaker, Hudson Schierloh, Eliza Schierloh, and Maverick Schierloh. Also, survived by many loving nephews, nieces, and cousins. He was preceded in death by his parents, Jesse and Tiny Whitaker; sister, Delana Randall; and two nephews, Scotty Duane Randall and Shawn Duane Randall. A graveside service with Bro. Jerry Harper officiating will be held at Renfro Cemetery, 2874-2880 Dahl-Elrod Road, Somerset, KY. 45203 on Saturday, April 14, 2018 at 1:00pm. Southern Oaks Funeral Home is entrusted with the arrangements for Mr. Johnny Douglas Whitaker. My deepest sympathy for your loss,Johnny.Those who passed on are in God’s memory because they are precious to in God’s eyes.